Petr Cech has been Arsenal’s ‘cup keeper’ all season and the retiring Czech legend deserves to keep his place in the Europa League knockout stages. Therefore, Bernd Leno will drop to the bench. Emery has been playing with a back three in recent weeks but I’d like to see us go with four at the back this evening. We can’t defend no matter how many defenders we put on the pitch so I think we should put an extra midfielder in the team and try to improve our attacking play – especially against a poor BATE side. Ainsley Maitland-Niles should keep his place ahead of the hapless Stephan Lichtsteiner at right-back with Hector Bellerin obviously out while Sead Kolasinac deserves to retain his spot at left-back. 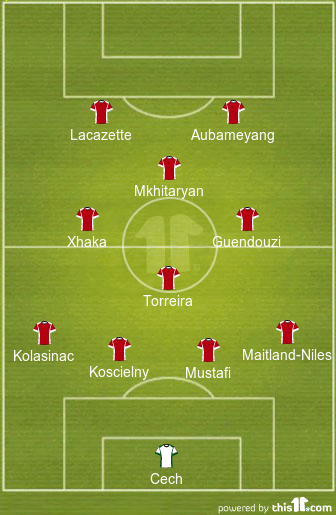 I’d like to see Arsenal play a diamond in midfield with Lucas Torreira sitting in front of the back four. It’s his best position and I don’t know why we seem to have deviated away from him being our holding midfielder in front of the defence. Granit Xhaka is back in contention after recovering from a groin injury so I’d give him a recall on the left of the three with Matteo Guendouzi completing the trio following some superb performances in recent weeks. Unfortunately, Aaron Ramsey hasn’t travelled to Belarus as he’s still nursing a knee injury that kept him out of the win over Huddersfield Town but Mohamed Elneny will provide a midfield option from the bench. Ozil hasn’t even made the squad despite recovering from ‘illness’ and the situation is now getting beyond a joke. 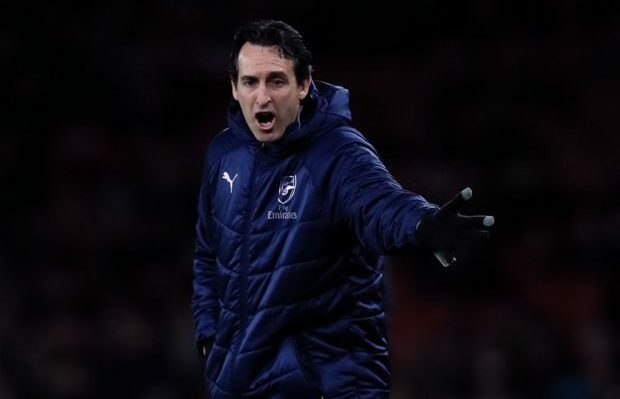 His Arsenal career is clearly over as Emery has frozen him out and won’t even trust him away to BATE Borisov so I don’t see any way back for the German playmaker. Denis Suarez is pushing to make his full debut and I would be tempted to start him this evening but I think he needs bit more time to adjust to life at Arsenal so I’d leave him among the substitutes this evening. 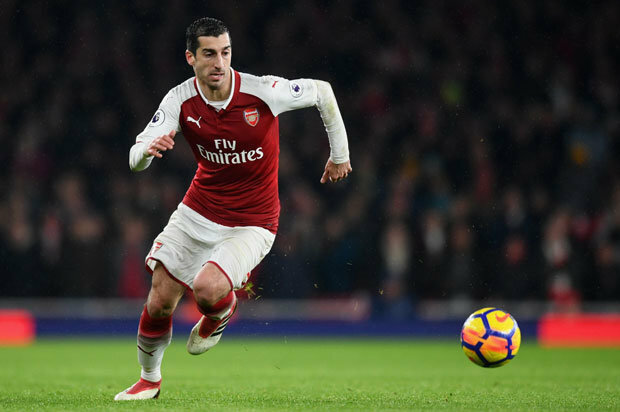 Henrikh Mkhitaryan made his return from injury last weekend and I’d go with him over Alex Iwobi in the advanced attacking midfield role as I think he’s better suited to the No.10 position. I hope Emery starts both Pierre-Emerick Aubameyang and Alexandre Lacazette up front and fingers crossed they can score a few goals this evening so we can field a weakened side in the return leg next week.